HSE stands for Health Safety and Environment. 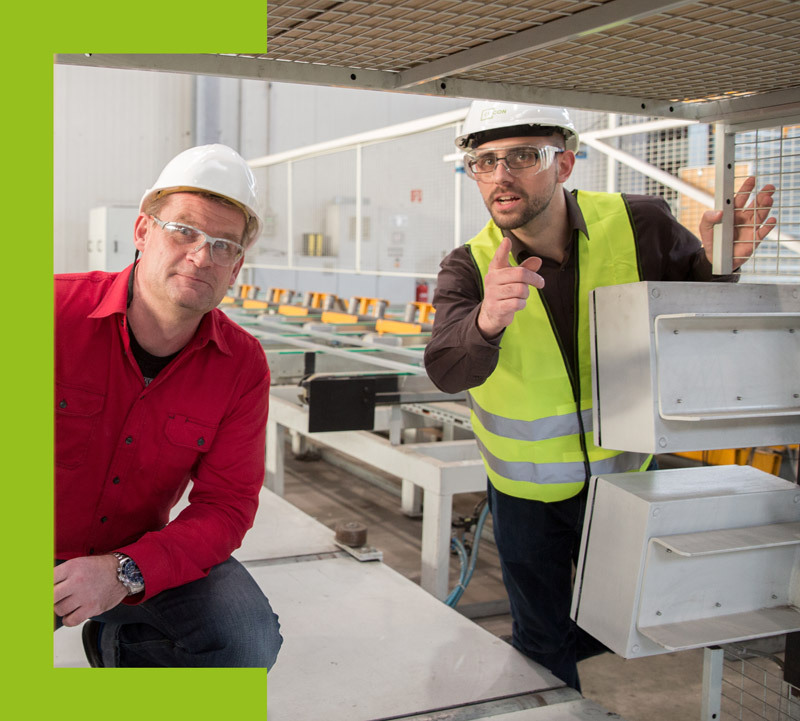 For industrial companies in particular, it is becoming increasingly important to adhere to requirements governing protection of health and the environment and occupational safety and health. For this reason, we provide expert assistance in the planning, implementation, controlling and optimisation of operational processes in the areas of health protection, occupational safety and health and environmental management. What does LOTO stand for? 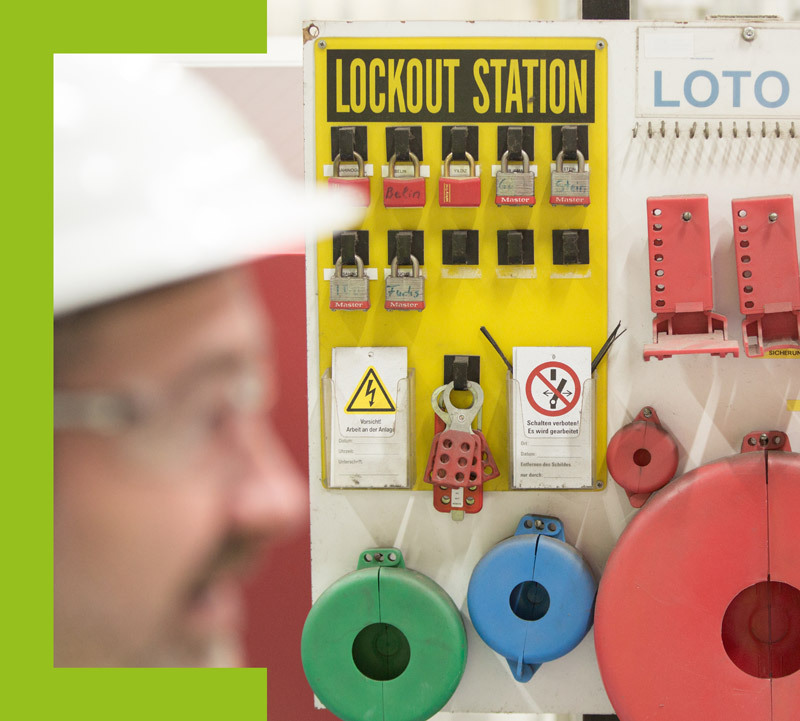 Lock Out Tag Out – LOTO for short – originates in the US and refers to the safe shutting off of all power sources posing a risk. It involves reactivation blocks, e.g. when performing maintenance work on machines. What is a “technical safety assessment”? 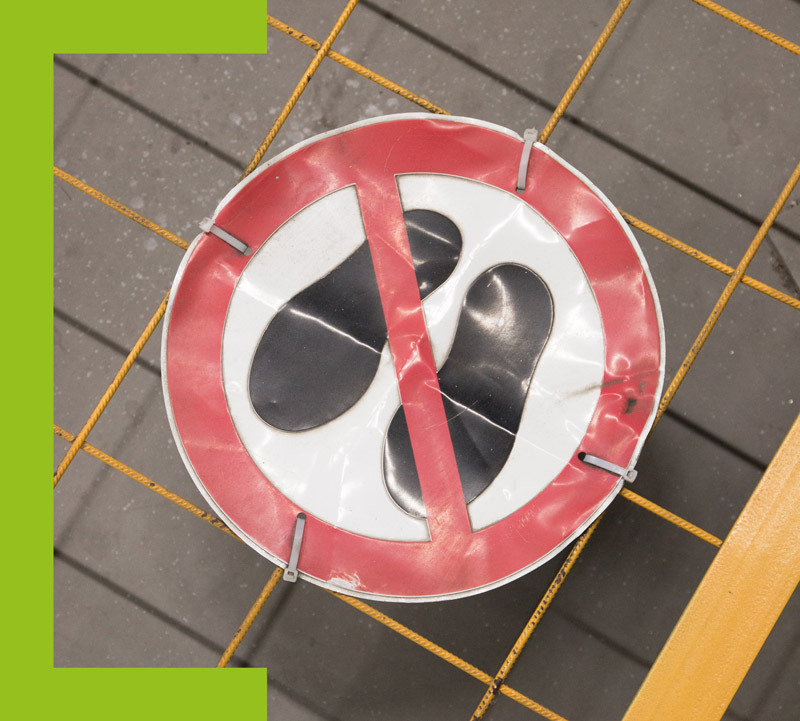 Employers are obligated to ensure that no hazards can be posed by working equipment. A technical safety assessment shows whether a machine technically complies with necessary requirements. What does occupational safety and health mean? Employers must deal with the issue of occupational safety and health in the workplace and pay due regard to any existing hazards. Hazard assessment is taken into account in the German Occupational Safety and Health Act, the German Ordinance on Industrial Safety and Health and the Ordinance on Hazardous Substances. 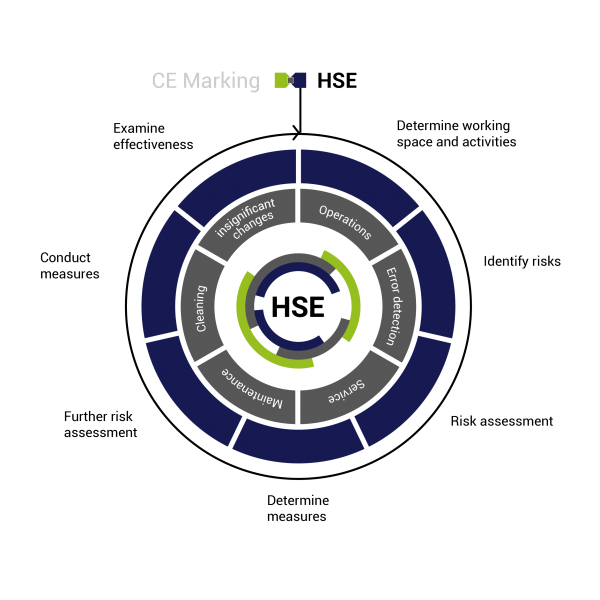 As a business manager, I was always dealing with CE marking, given that this is our responsibility as a manufacturer. 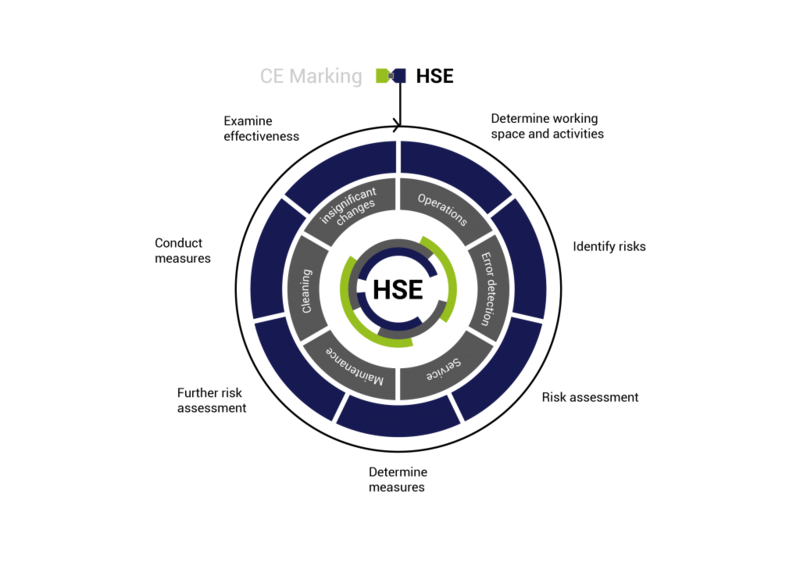 With CE-CON we have a partner by our side to support us in all issues relating to CE marking — from project processing and documentation through to certification. Our customers' satisfaction is close to our hearts and secures our future. We are therefore very glad to have full support from initial concept through to delivery of the machines. CE-CON offers us an all-inclusive, worry-free package that is a decisive factor for our long-term cooperation. As the world’s leading manufacturer of arc welding and blow torches, we spot technological trends and steer courses in joining technology. We map risk assessments for CE marking mandated by legislative bodies with CE-CON Safety. This cloud software enables us to always find the latest standards and guidelines for CE certification through automatic updates from CE-CON. We particularly appreciate being assisted by the software through the processes, automatically receiving notification when something is missing, and for instance simply being able to copy projects. Thanks to CE-CON Safety, today our risk assessment creation is highly convenient and saves us a great deal of time and money.